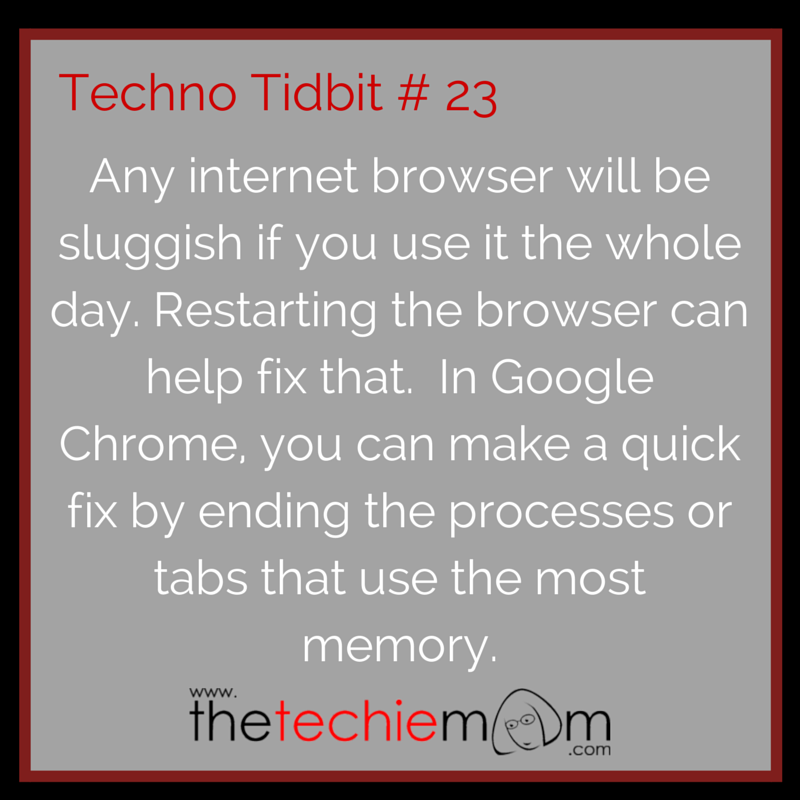 Techno Tidbit #23: Any internet browser will be sluggish if you use it for the whole day, restarting the browser can help fix that. In Google Chrome, you can make a quick fix by ending the processes, extensions or tabs that use the most memory. Always remember the rule of thumb: The most processes or tabs/windows you use, the more memory your computer uses, the slower it will become.